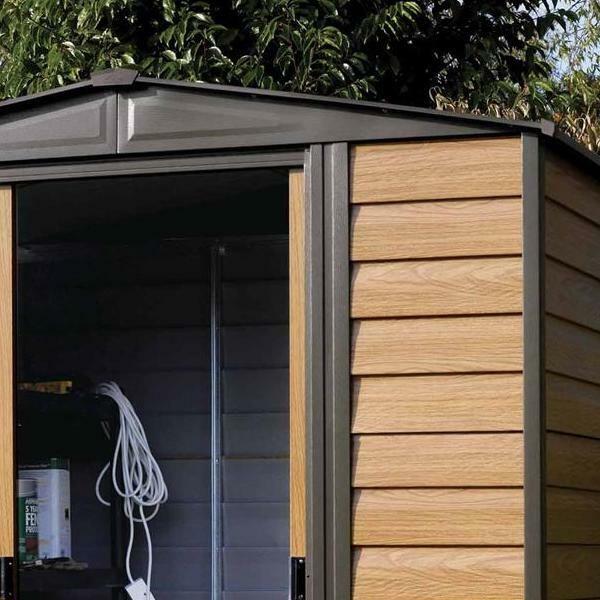 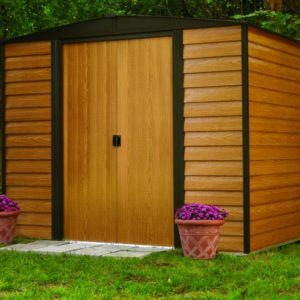 Firstly, the Rowlinsons Woodvale metal sheds range combines the pleasing appearance of a wooden shed with the practicality of a metal construction. 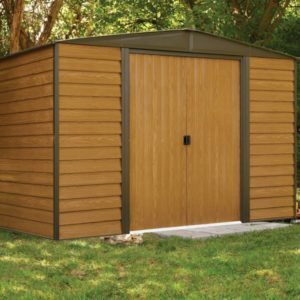 The metal wall panels are designed and pre-painted to give the appearance of wood grained shiplap profile building. 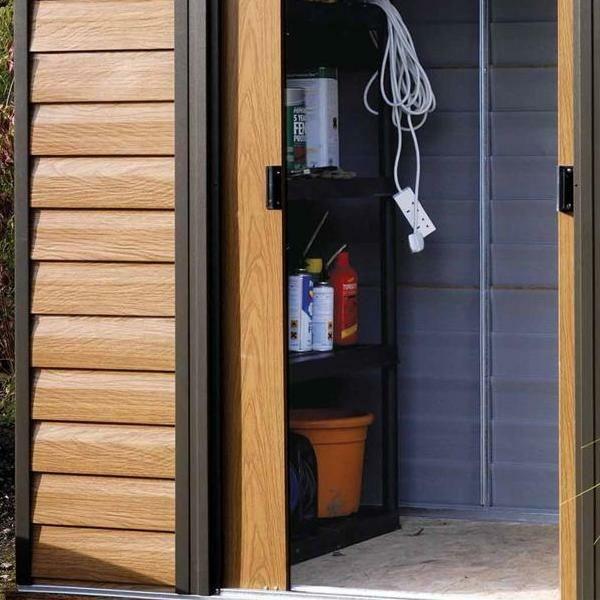 While there is no floor included they are available as an optional extra. 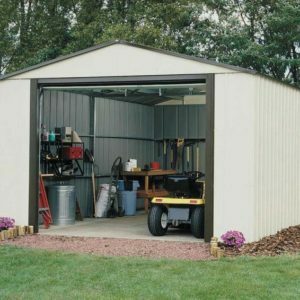 The same image is used on all of these Woodvale metal sheds and therefore should not be considered as representative of this model’s dimensions. 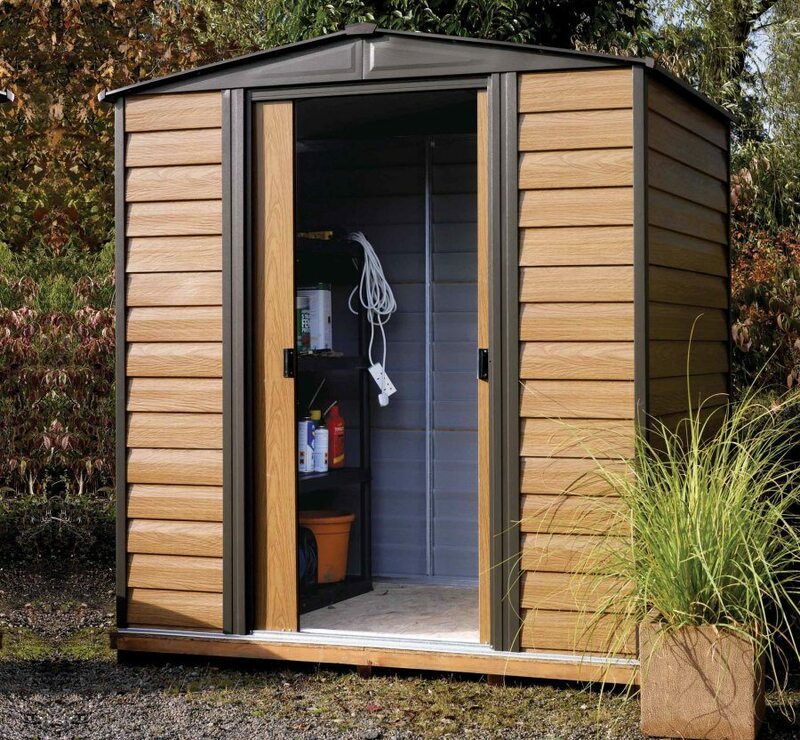 Finally, all Rowlinson’s Garden Products are supplied direct from their Cheshire Warehouse. 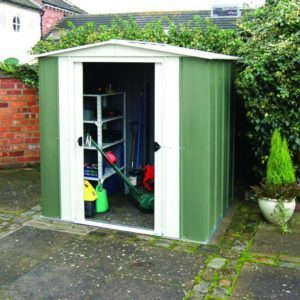 Therefore no metal sheds (MEWV65) are available for collection from our Devon premises.